Lacquer used for the umbrella. Intricate grain of woodblock has been utilized by the printers to create a composite part of the design. 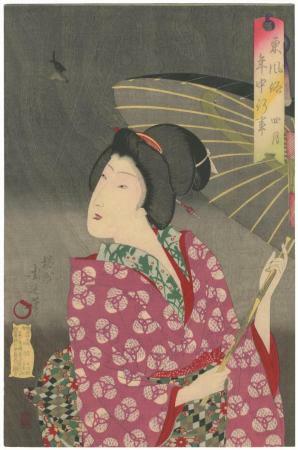 The title of this series which contains 12 prints has also been translated as The Calendar of Eastern Customs.